360° Shared VR visualisation in a 6 metre cylinder. Dŵr Cymru Welsh Water is identifying new ways to work more efficiently and sustainably. 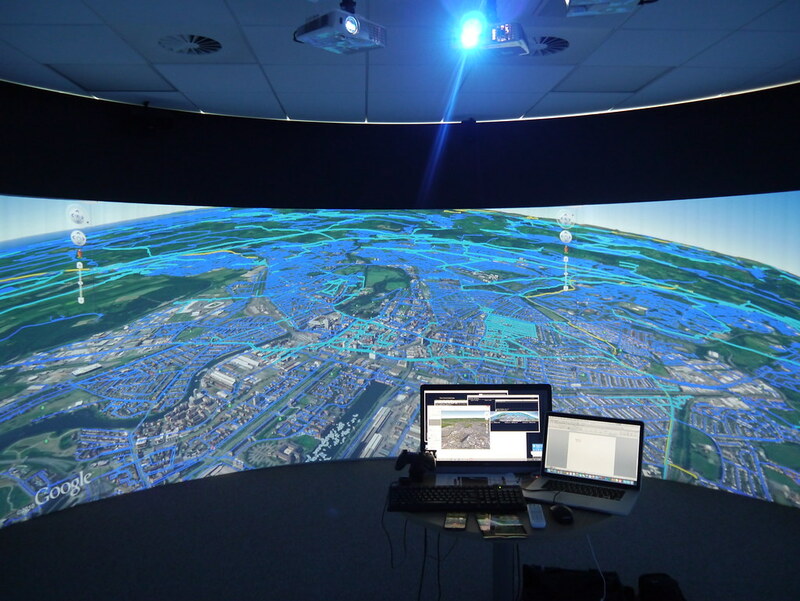 And a new immersive visualisation centre, developed by Igloo Vision, is making a definite contribution. By projecting computer-aided design (CAD) and building information modelling (BIM) data in 360°, it is enabling engineers to step inside and fine-tune their design concepts. By displaying Google Street View data, it is helping construction teams to get better acquainted with the details of the environments in which they will be working. And, by projecting panoramic imagery of far away locations, it is reducing the need for multiple site visits. The solution was acquired by Dŵr Cymru Welsh Water after conducting an analysis of several visualisation systems. It was decided that Igloo offered the best mix of benefits at a realistic price. Anne Carroll, Design Manager, Dŵr Cymru Welsh Water AMP6 Capital Delivery Alliance leadership team.